Sessions, among the earliest high-profile backers of Donald Trump's presidential campaign, will appear days after explosive testimony by ousted FBI director James Comey suggested Trump sought to interfere with the sprawling Russia investigation. Jeff Sessions agreed to testify in connection with probe into Russian election meddling. Washington, United States: US Attorney General Jeff Sessions has agreed to testify in connection with the probe into Russian election meddling in an open hearing Tuesday of the Senate Intelligence Committee, the committee said. Sessions, who has recused himself from the Justice Department's Russia probe due to his own contacts last year with Russian officials, had originally been thought to prefer a closed hearing to protect sensitive issues. But the top justice official agreed to the open hearing after Democrats on the committee pressed for it. Committee Chairman Richard Burr and Vice Chairman Mark Warner said in a joint statement that the hearing would take place Tuesday at 2:30 pm (1830 GMT). 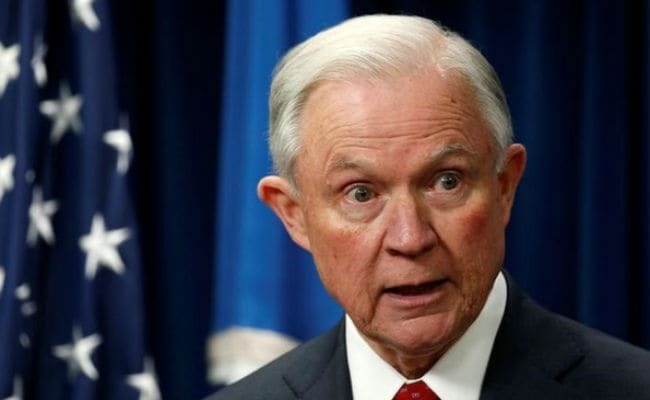 Attention has focused on Sessions amid reports he may have had more meetings with Russian officials during the presidential election campaign last year than the two he has informed authorities of. Former FBI chief Comey suggested during his testimony last week that the story behind Sessions' recusal from the Russia investigation was not entirely public. "We also were aware of facts that I can't discuss in an open setting that would make his continued engagement in a Russia-related investigation problematic," Comey said of Sessions. After that testimony the attorney general switched a previous plan to appear before the Senate Appropriations Committee to speak on budget issues, saying he would instead address the Intelligence Committee. "In light of reports regarding Mr Comey's recent testimony before the Senate Select Committee on Intelligence, it is important that I have an opportunity to address these matters," Sessions said in a letter announcing the change. The intelligence panel "is the most appropriate forum for such matters, as it has been conducting an investigation and has access to relevant, classified information," he added.